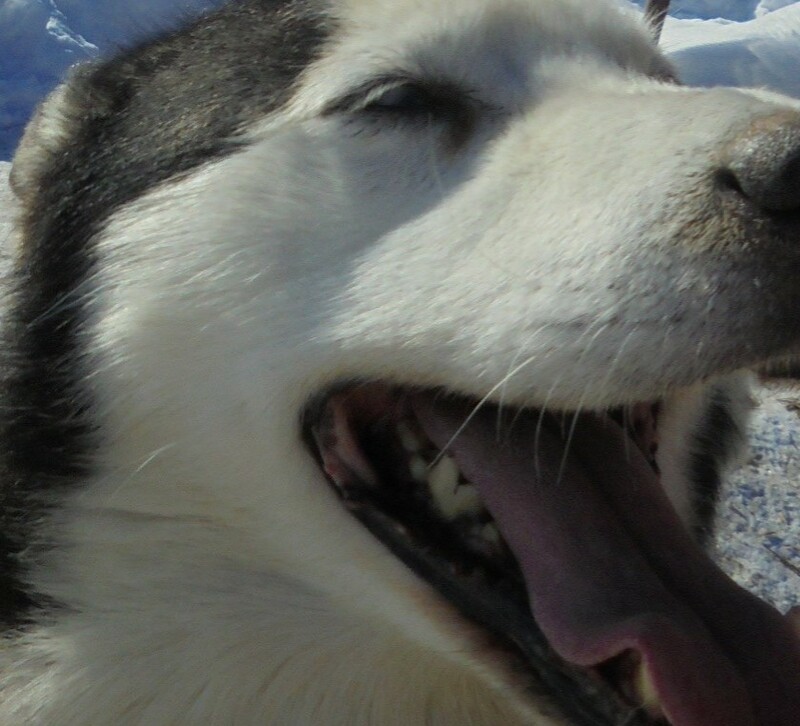 The famous Iditarod, a 1,000 mile sled dog race from Anchorage to Nome, is well underway. 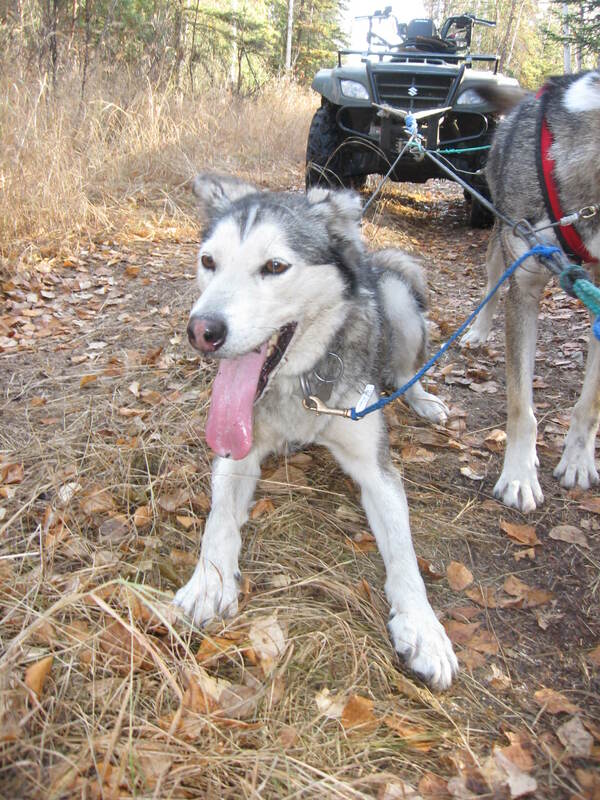 The stress and frenzy of pre-race requirements – packing drop bags, filled with a musher’s essential supplies, and getting them to the designated distribution center, vet checks, final training runs and meetings galore – vaporized the second each musher pulled their hook at the starting line and their dogs and sled surged forward down the trail. 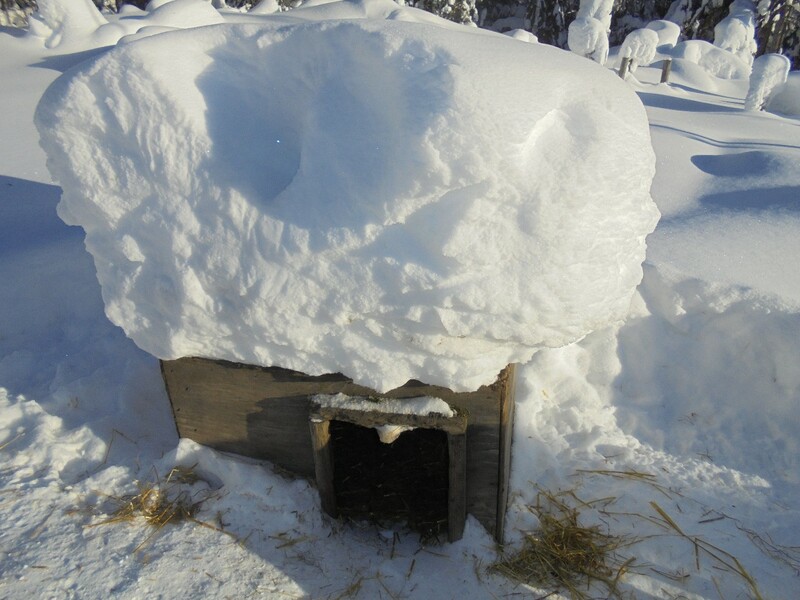 The handlers, the unsung heroes of racing, packed up whatever the musher may have thought unnecessary and drove their dog truck back to the kennel. 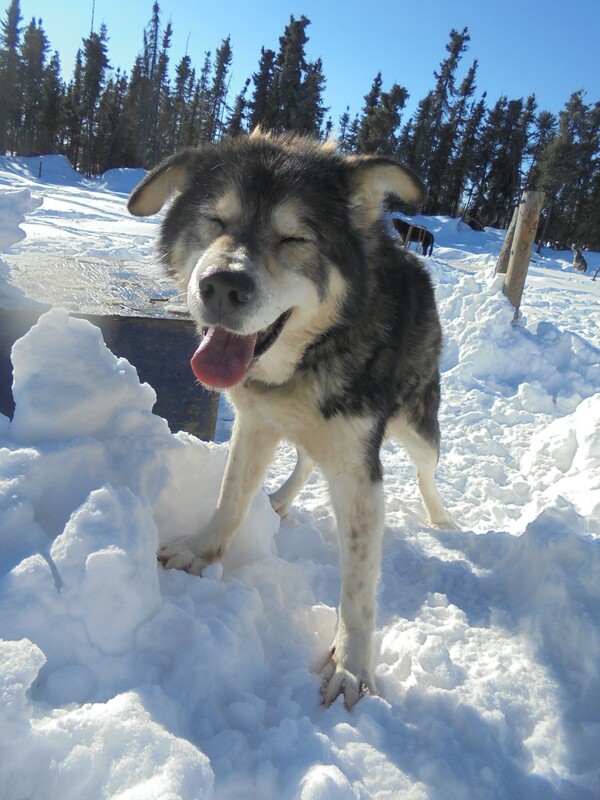 They won’t see their mushers again until the finish line at Nome. 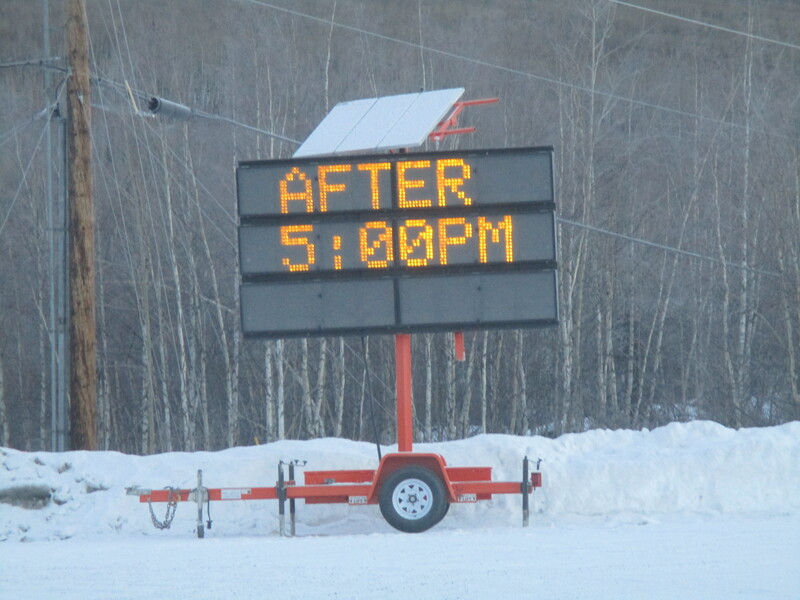 The unfortunate few may be meeting their mushers and teams at the Anchorage airport, where they will have flown back too after dropping out of the race. 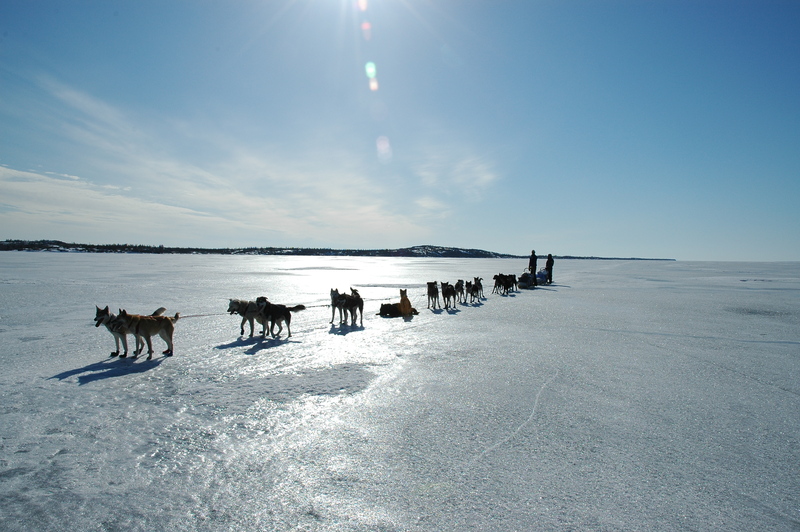 The lesser know Yukon Quest, another 1,000 mile race between Fairbanks, Alaska and Whitehorse, Yukon, finished last month. This race is a nod to the mail carriers, supply haulers, prospectors and adventurers who traveled the rough and unforgiving trails from the Alaskan Interior to the Klondike. It was born, like all good things, over beer and burgers at the Bulls Eye Saloon, which stood until just a few years ago a mere 5 miles from our place. 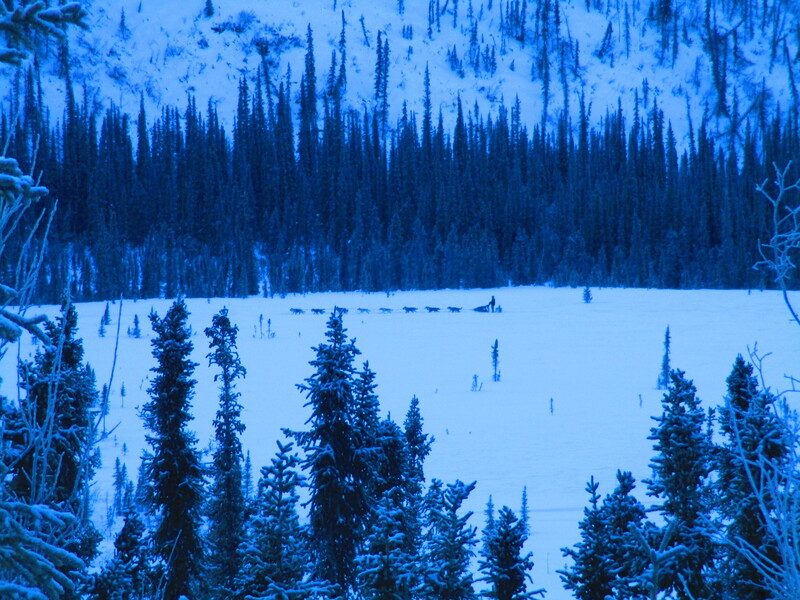 “In 1983, four mushers sat at a table in the Bull’s Eye Saloon in Fairbanks, Alaska. 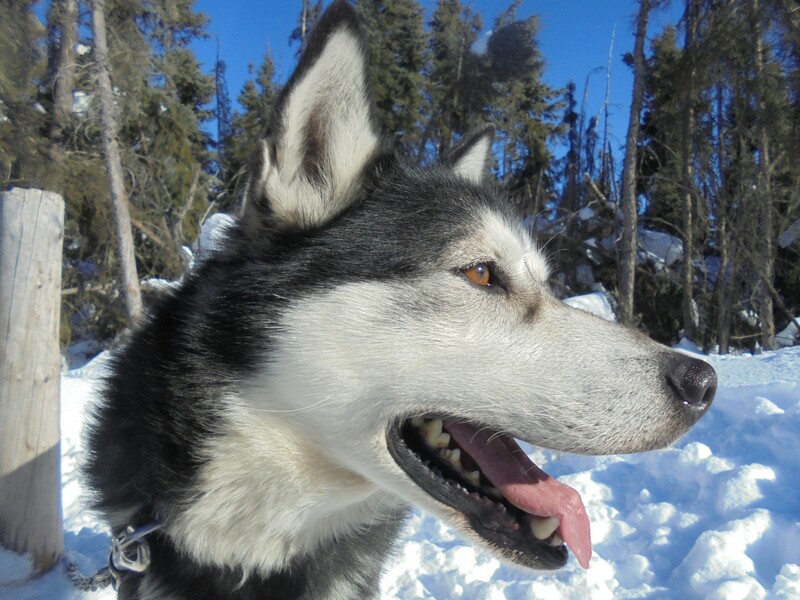 The conversation turned to a discussion about a new sled dog race and “what-ifs”. 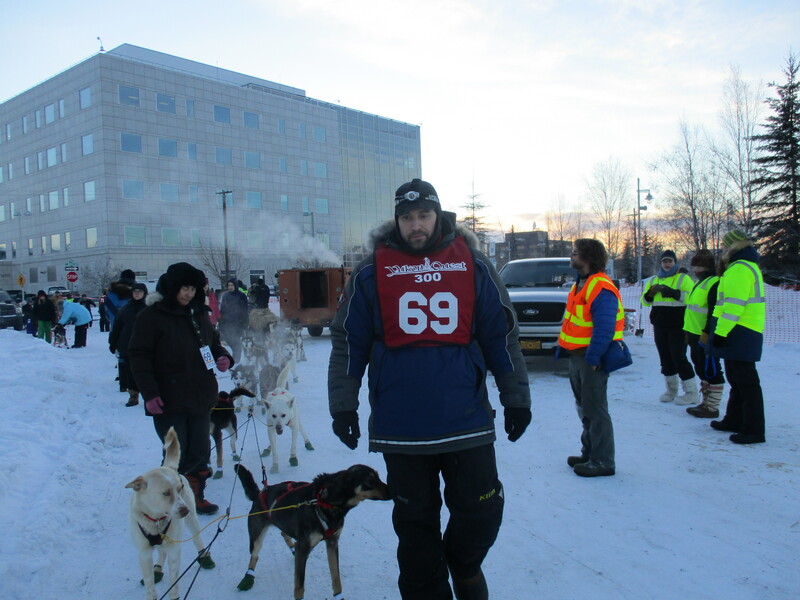 Our friend, John Dixon, who has run in two Iditarods, getting set to start the Quest 300, which is a qualifying race for the Yukon Quest. The Quest is a grueling marathon and features several summits teams must climb and historically extreme temperatures that plummet to 40 below and colder. And its start, at the beginning of February, guarantees more darkness than daylight. Eleven of this year’s 26 entrants scratched and two were withdrawn because they pushed the help button on their SPOT trackers both races now use. Quest mushers and their handlers experience the same chaotic, pre-race activities and every racer tends to look forward to just pulling the snowhook and getting underway. 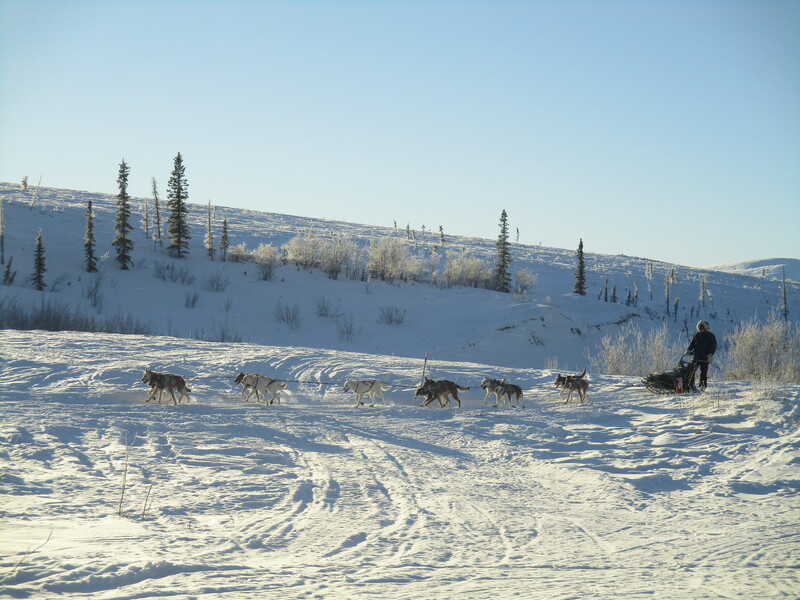 While the teams head down the trail, these handlers begin a very different adventure from their Iditarod kennel counterparts. For them, the following 8 to 14 days, is an exhausting game of hurry up and wait. The reason – several of the checkpoints are on the road system (road is a pretty loose term). 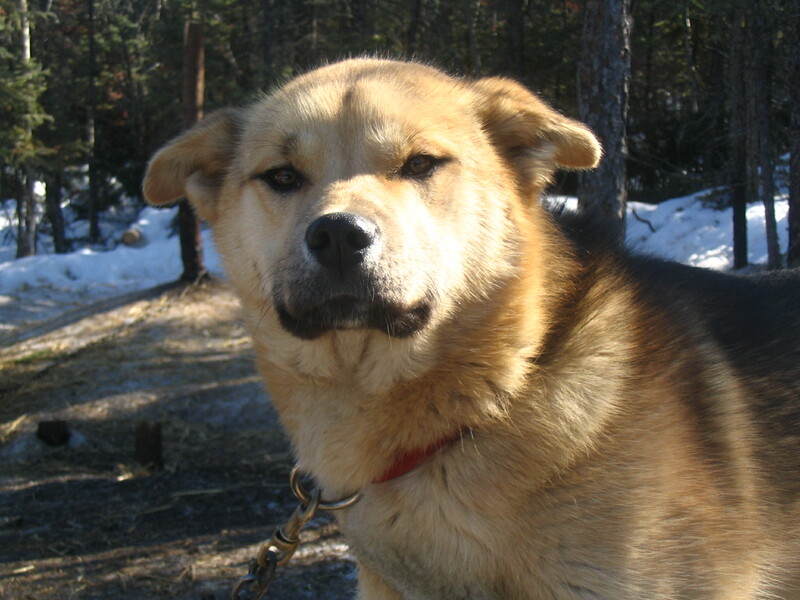 Handlers are forbidden from even touching a dog and if they do, the consequence is that the musher is withdrawn. So what do the handlers do? Well, they drive and drive and drive. And then wait and wait. They sleep in the cold, in the dog truck. They drink copious amounts of coffee. They eat a lot of junk food. 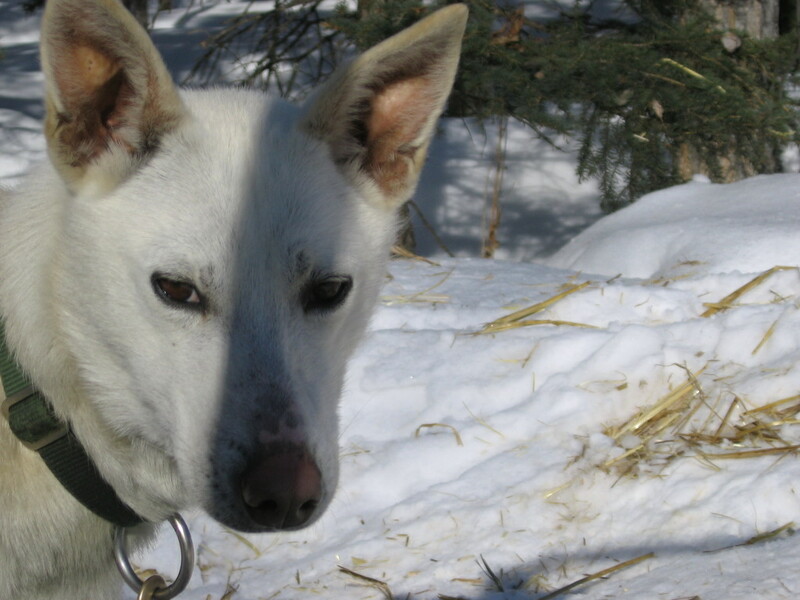 And when there is a signal their musher is coming in, they scramble into action, ready to cheer, cajole, comfort,listen and sometimes be yelled at by an equally sleep-deprived musher. 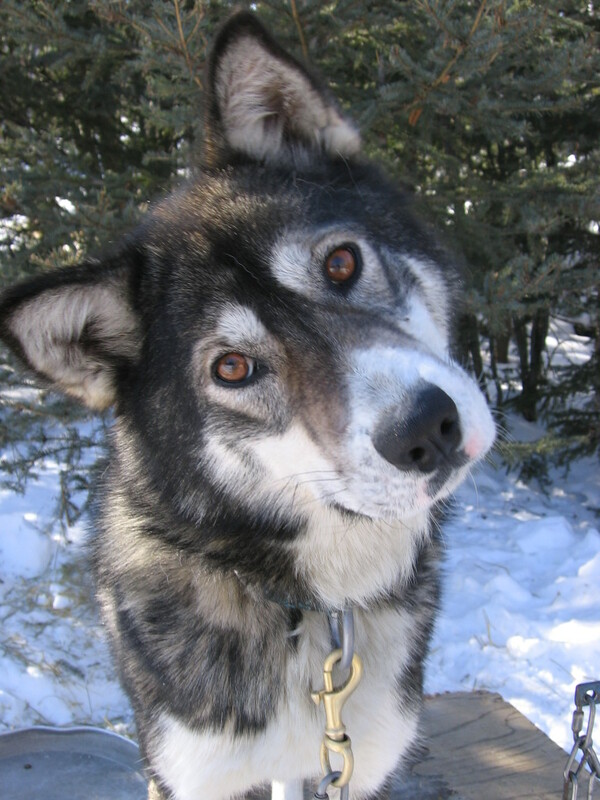 If a musher decides to drop a dog from the team, the vet will examine the dog and determine if there is a need for medication. Then and only then can the handlers take control of a dog and from that point on they are responsible for its care. 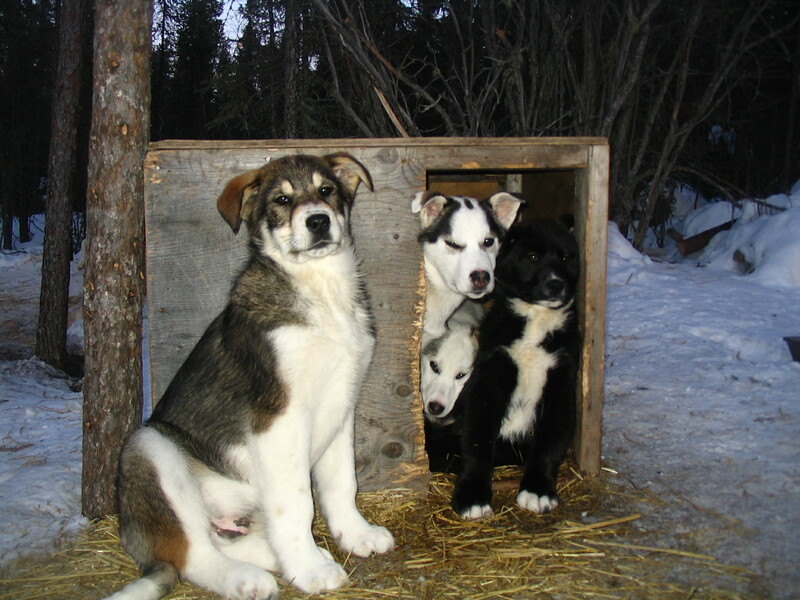 Once the musher has left a checkpoint, the handlers must ensure that their team’s spot has all dog poop, straw and trash is cleaned up. Sounds glamorous doesn’t it? A team not far from the Mile 101 checkpoint. 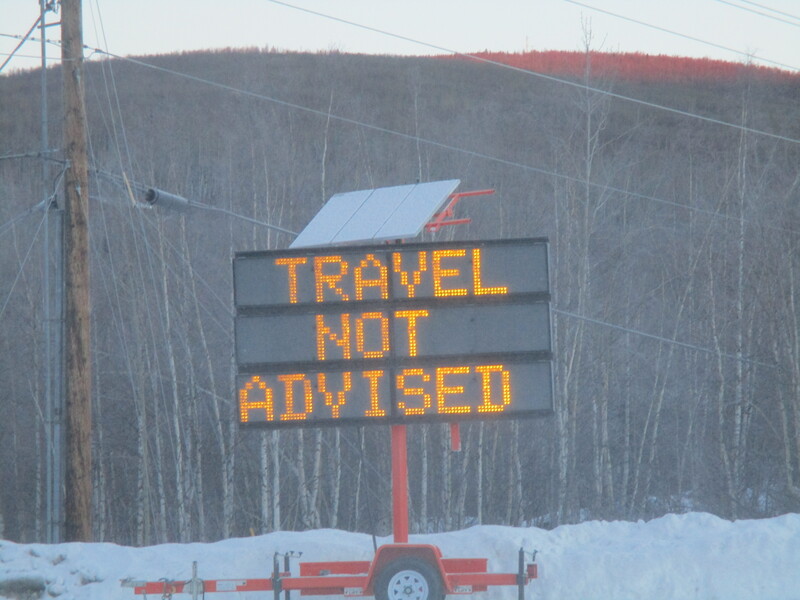 The Dawson checkpoint is different because it is where all mushers take a 36 hour layover. 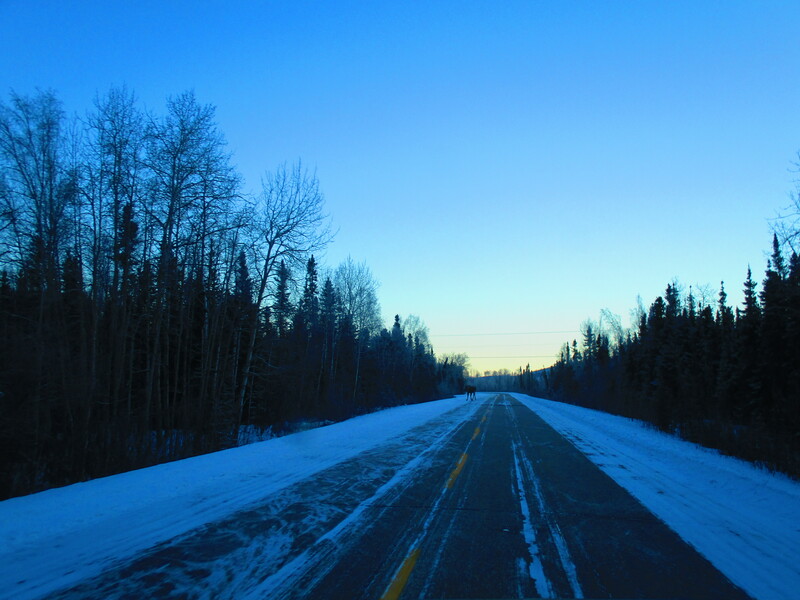 Handlers have spent a few days driving 400 miles from Fairbanks, to Two Rivers and back through Fairbanks to Circle. They have climbed an almost 4,000 foot summit – stunningly beautiful in clear weather, but migraine inducing when the snow and wind start up. 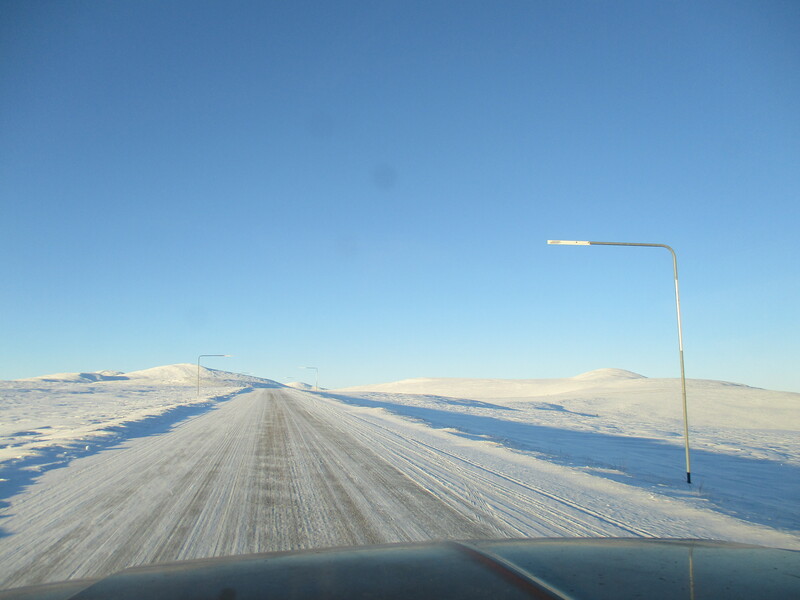 The road is notorious for ice, dangerous S-curves and frost heaves that rattle the teeth. 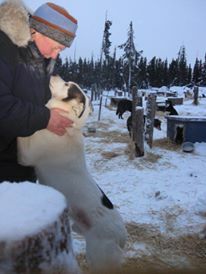 Once their musher has left Circle, the handlers double back 155 miles to Fairbanks and then cover 900 miles to Dawson City. 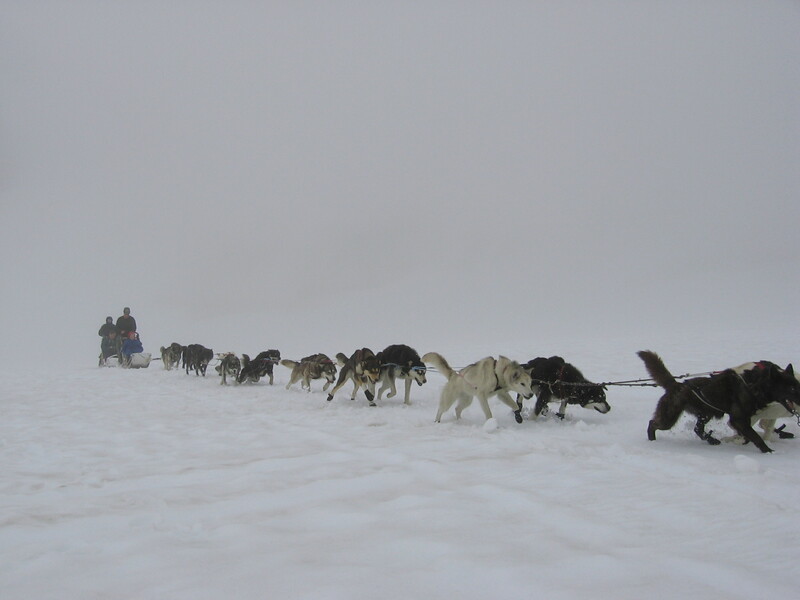 Along the way there are dropped dogs to feed and exercise, flat tires to change and brief pit stops for humans. Breaking down on this stretch of road requires mechanical and survival skills. Do you see the dogteam? 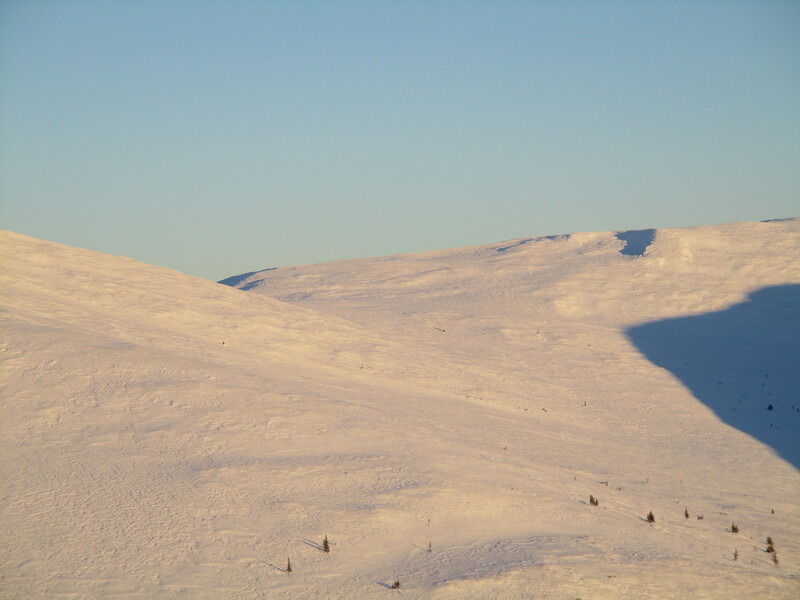 The black specks in the middle of the photo are a team climbing Eagle Summit. In Dawson, each team is assigned a quiet area, across the river from the town itself, and handlers get to work setting up camp. Every team has its own setup but they all involve a cozy, covered, straw-filled space for the dogs. During the 36-hours, handlers will walk dogs, feed dogs, massage dogs and watch over dogs. 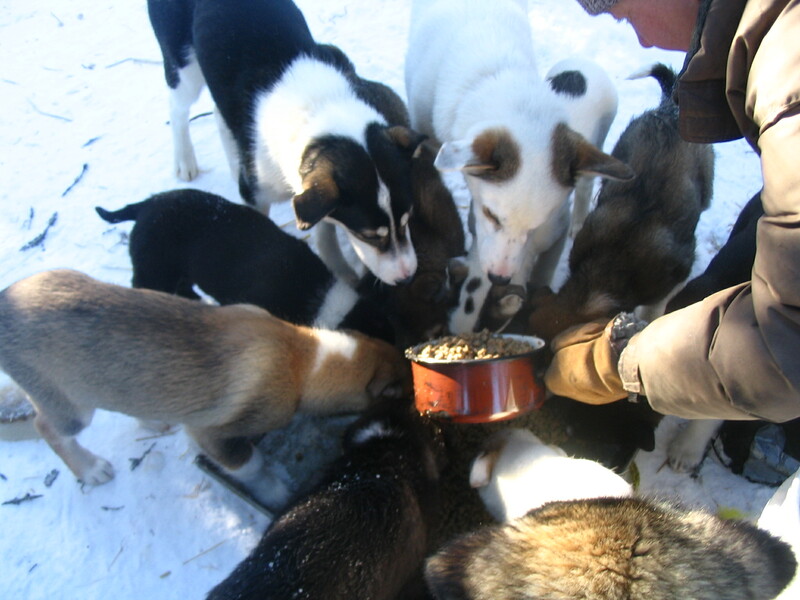 Mushers will eat, sleep, wash trail clothes, eat, sleep and of course visit their team. It’s time to rest and re-charge. 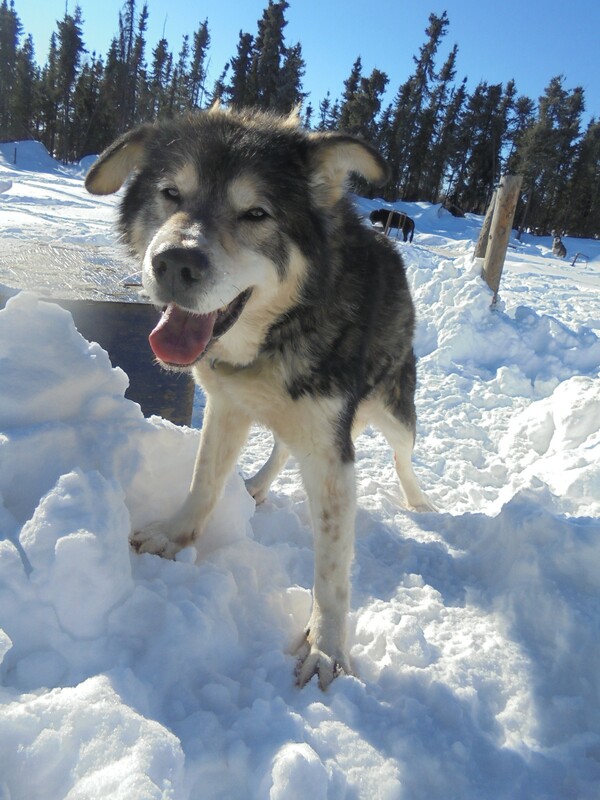 Once the musher is back on the trail, the handlers are the clean up crew and can’t get on the road until their site is inspected and checked off. 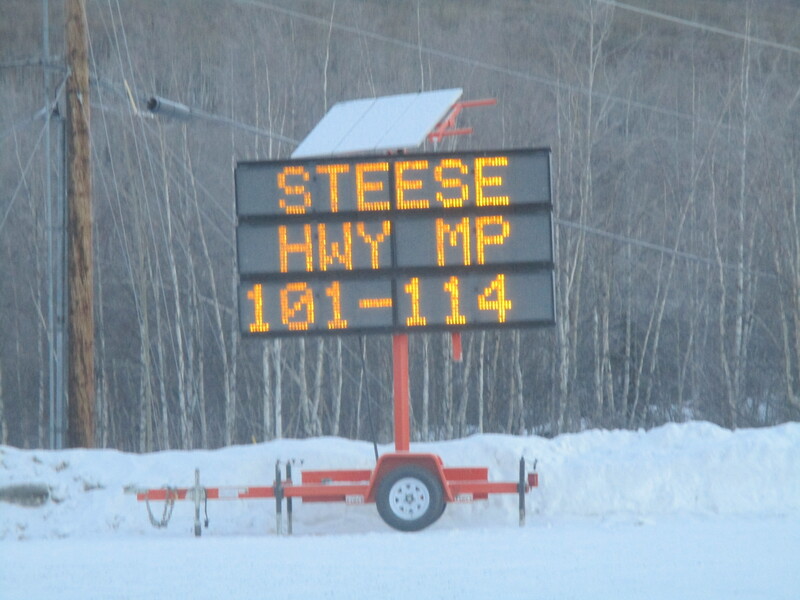 From there, 530 more miles will tick off the odometer as the dog truck motors to Whitehorse, with stops in the checkpoints of Pelly, Carmacks and Braeburn, which has the largest and world famous cinnamon buns. 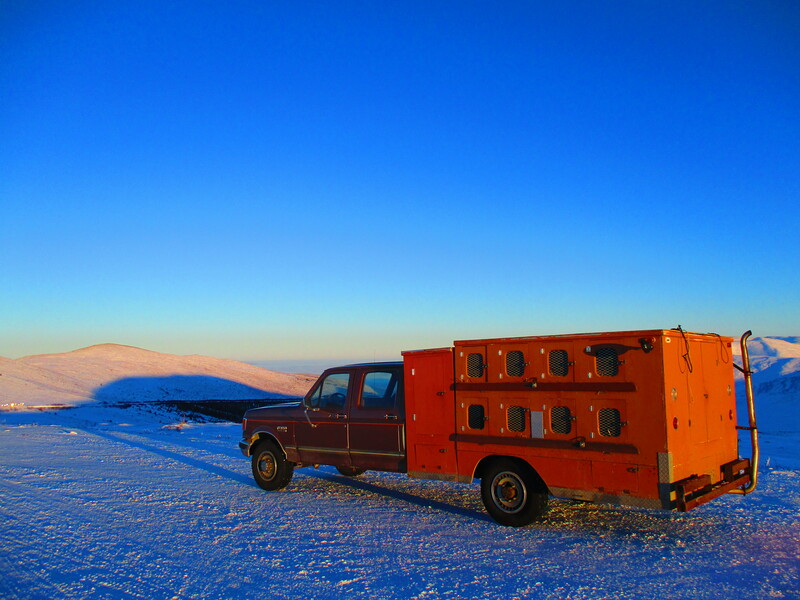 The dog truck at the top of Eagle Summit. The weather was spectacular! After two weeks, endless miles, waking up disoriented and shivering in the cab of a dog truck, questionable hygiene practices and a diet that would kill weaker people, the adventure is done. Sort of. There are spring races to prepare for. Training runs to go on. Chewed harnesses to be sewn. Equipment to be repaired. Dog booties to be washed, dried and sorted. Poop to be scooped. Houses to be filled with straw. Massages to be done. Food to be prepared. Puppies to be played with. Dogs to be loved. Hard workers only need apply. This is the sound of Oni tappy-toeing up and down the hall every night, about 5 minutes after I’ve gone to bed. Soon the noise is in stereo, because Gump has joined her. The tapping is only broken when Oni makes a pass by me and rams her unusually pointy nose into my ribs and Gump roughly rubs his head and face all over my leg. I will scratch Oni’s head and back for a few minutes, then push her and Gump gently away. The tappy, tappy, tappy fades as they pace down the hall, only to intensify as they come back. Back and forth. Back and forth. This night time ritual lasts about 10-15 minutes whether I scold them or not, so I use the time to practice meditation. 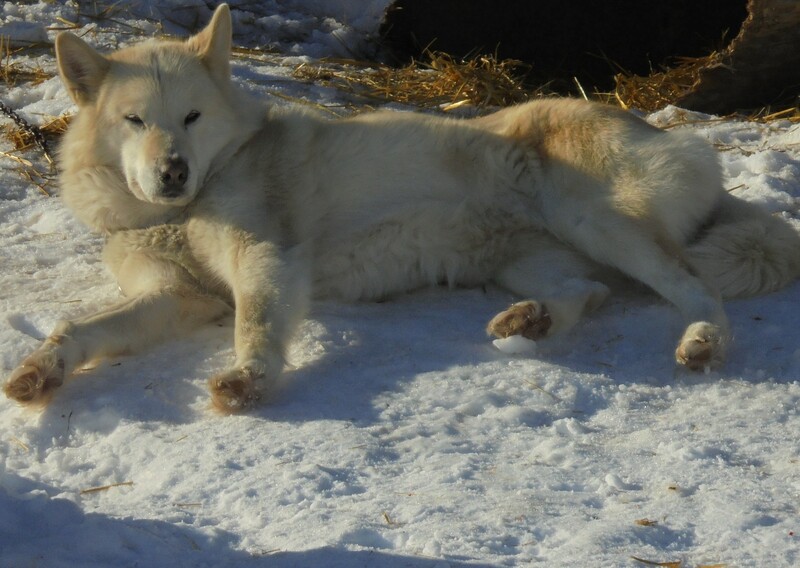 Oni and Gump are old sled dogs living out their remaining time lounging on the couch during the day and tap dancing at night. Oni, not long after I got her. The distrust is obvious. Fifteen-year-old Oni was a very poorly socialized rescue who stomped into my life when she was just over a year old. It took several years before she didn’t panic any time we touched her. She is on the small size, with horrible confirmation, but her work ethic is giant. 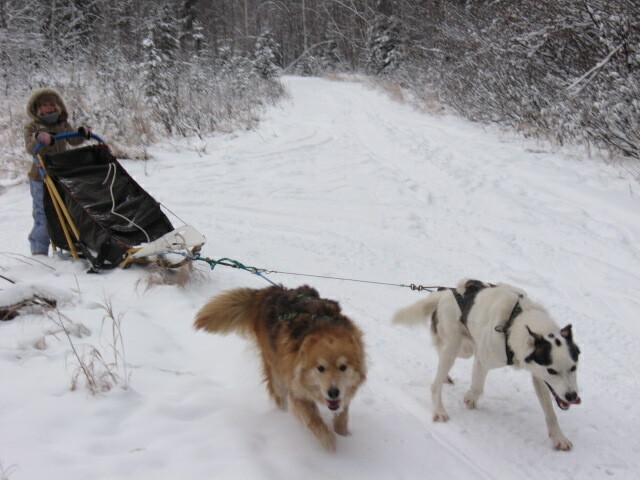 Being in harness and pulling a sled was where she found her joy and where her life was good and fair. She has easily out pulled and out worked any dog I’ve ever known. Oni and Loup on a short run. 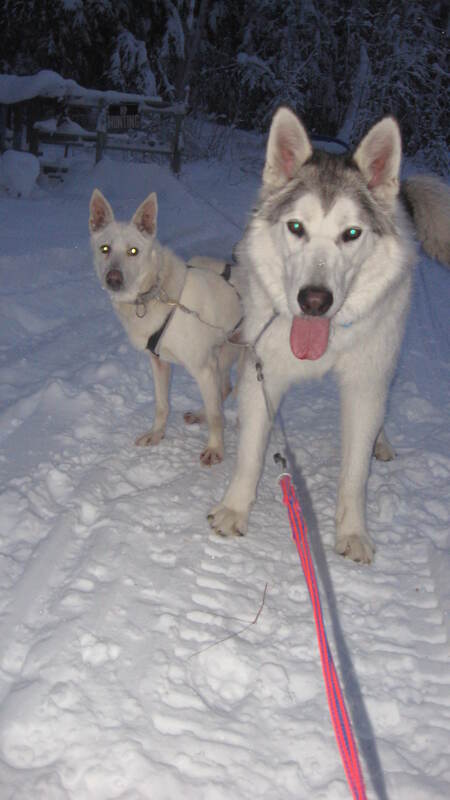 Loup is a huge Malamute and Oni looked pretty small next to him! 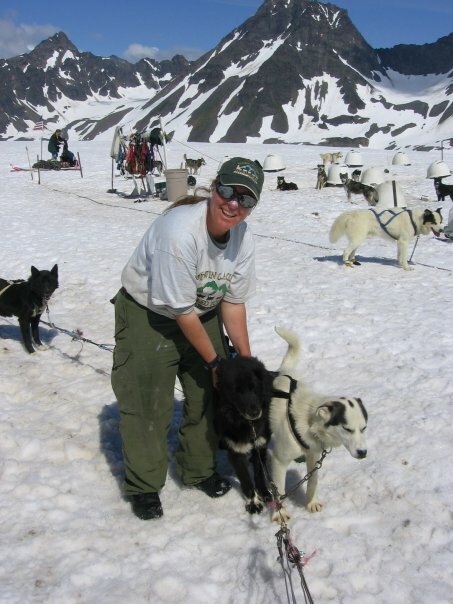 Oni was part of the crew we would bring to Juneau to work on the glaciers, or on land, giving rides to tourists. She was a great traveler, content to be in the dog box on the truck, and only woken to eat, pee or run. The first summer we were hopeful that exposure to people and the daily life of a very large dogyard, would aid in transitioning her to trust people more. Yeah, it didn’t work at all. Eat. Sleep. Work. That is all she was interested in. One afternoon she got away from one of the staff. 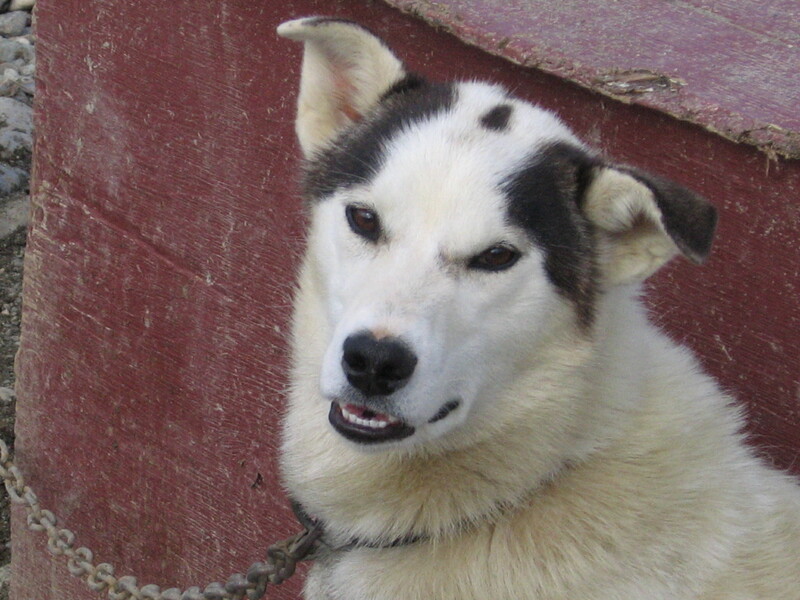 With the noise of 250 dogs and 25 people living and working on the glacier, and hundreds of tourists flying in and out on the choppers, it was going to prove an almost impossible task to catch her. 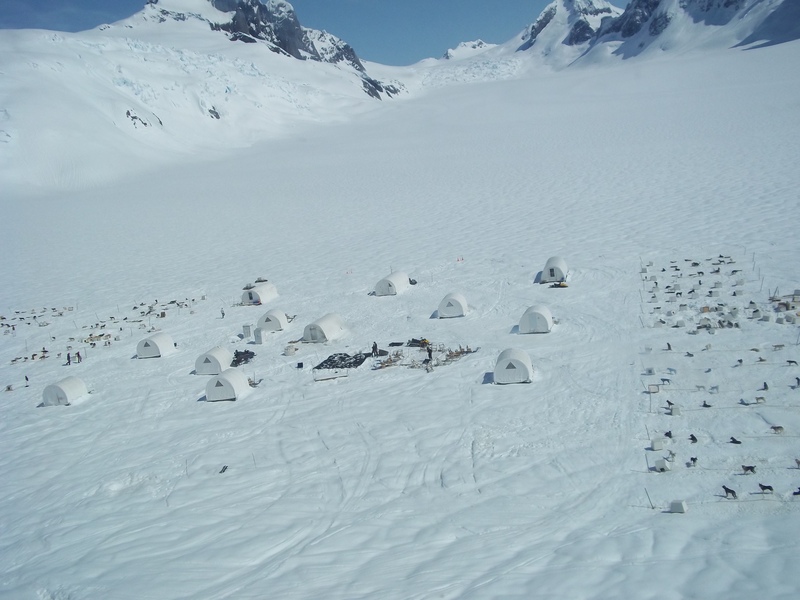 Glaciers are very dangerous places and the camp, dogyard and trail were on very stable snow and ice, away from killer crevasses. Thankfully some bad weather rolled in and choppers were grounded in town. The beautiful view you see flying to the camp on the glacier. We noticed that Oni had found our tent and wanted to hang out near the door. We placed an airline kennel just inside and put some food right in the back of it. I rigged up a long piece of rope from the door to our bed at the rear of the tent and waited for her to take the bait. She knew I was up to something, but she also knew her stomach was growling. Soon enough her hunger trumped her cautiousness and she ever so slowly crept into the front of the kennel. I held my breath and forced myself to wait. She crept in and out a few times, frustrated that she would need to commit her whole body to going into the kennel in order to get the food. Finally she crept in, grabbed a mouthful of food and turned around in a flash, intent on a swift getaway. I was faster however and I yanked on my string, closing the door behind her. I had to reel in the line, keeping it tight so that she couldn’t push against the unlatched door. With a great relief, I locked the kennel door and Oni resigned herself to her sudden captivity with a sigh and then finished the food and fell asleep. 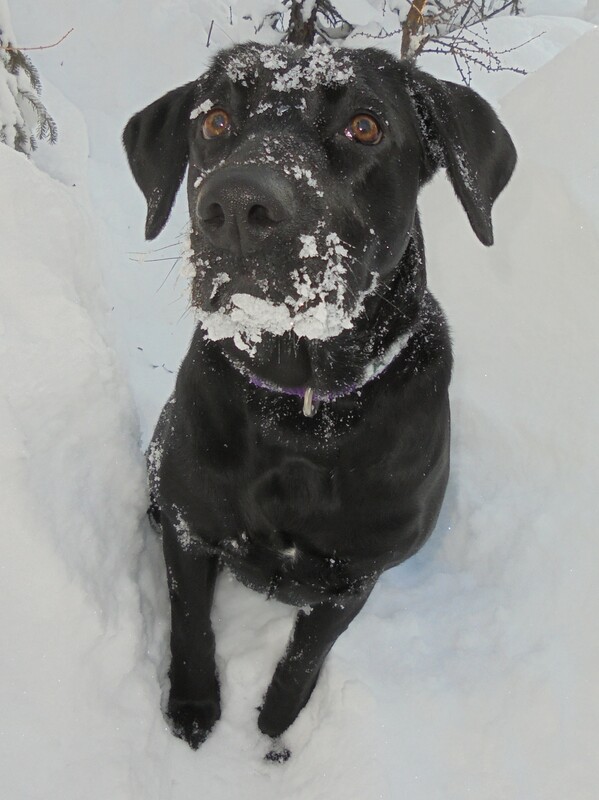 A few years ago we had a pretty long stretch of harsh, 40 and 50 below weather and it was obvious she was having a hard time being outside. We brought her into the house where she was warm, but miserable and on edge all the time. The lack of early handling and socialization made her wound tight like a coil and she was ready to flee if we walked too close to her. It was the other house dogs that taught her we weren’t so bad and after a time she began to relax. 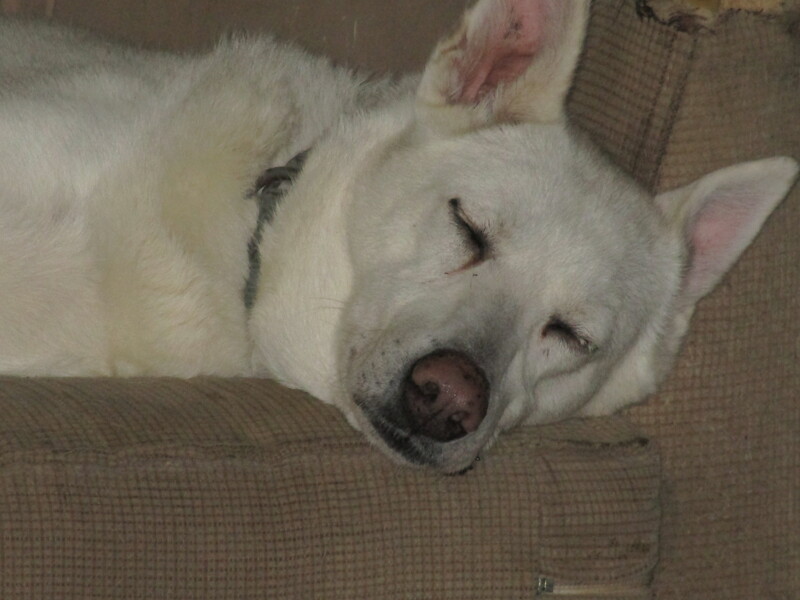 Oni sleeping peacefully in her spot on the dog couch. About a year after moving into the house and securing her spot on the dog couch, Oni had undergone a remarkable transformation. She initiated contact with us. She wouldn’t startle anymore when we walked by the couch. And she had begun to play with puppies or a young dog who came into visit. Oni had been completely isolated as a barely weaned pup and the plan had been to put her down as soon as her then owner could do it. Months went by. She was kept alone, away from her siblings and as a result didn’t learn how to play. I had caught wind of her situation through the grapevine and it was a no brainer to take her in. Her play was stilted and awkward, but it was a joy to see. One of Oni’s physical issues is that her tail is completely fused, except for the very end. While most dogs can wag their tails, she can’t and so if you want to figure out if she’s having a good time, you have to really pay attention. 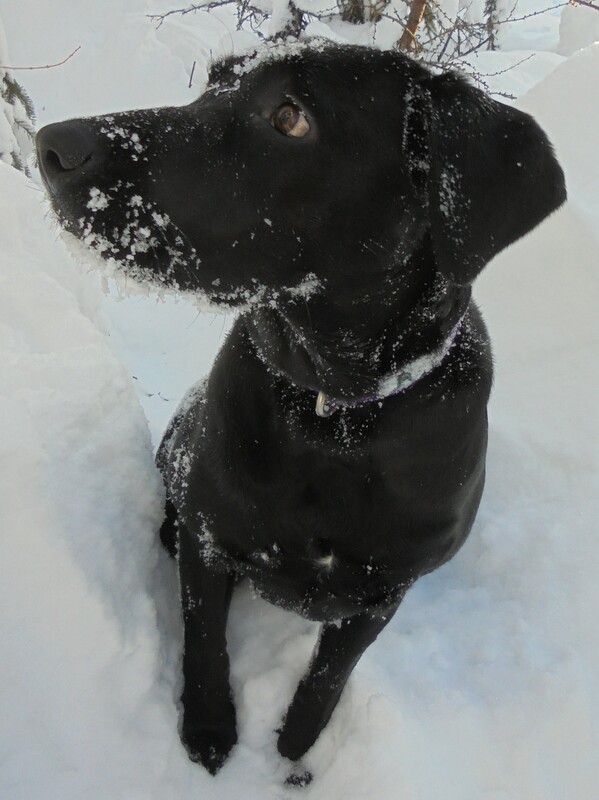 As she learned how to play, the tip of that fused tail, would wag furiously. Just the very tip. I laugh every time I see it. The most significant change for us was that Oni could go for a walk with the other geriatrics and, ready for this…….be off-leash with an excellent recall. Our frightened little white shadow wanted to be with her people. And today she really wants to be with us, particularly at 2 o’clock in the morning. Sigh. Oni will continue to lounge on the couch and tap dance up and down the hall until the end of her days. She has a certain stiffness in her left leg but it doesn’t stop her from being a part of the dancing duo. Very soon I will introduce you to another of our seniors living in the retirement home we apparently are running for old dogs. I like feeding our dogs; especially this time of year. It’s dark and I work in the beam of a headlamp. There is just something about the crunch of snow underfoot, the breath of barking dogs that hangs in the air and at times, the Northern Lights dancing overhead, that has me wishing it all could be captured somehow for everyone to see. As I move from dog to dog I am greeted with tapping, excited feet and a “woof” or “woooooooooo.” Hearing them slurp and gulp and snarf their warm, nutritious meal makes my heart glad. 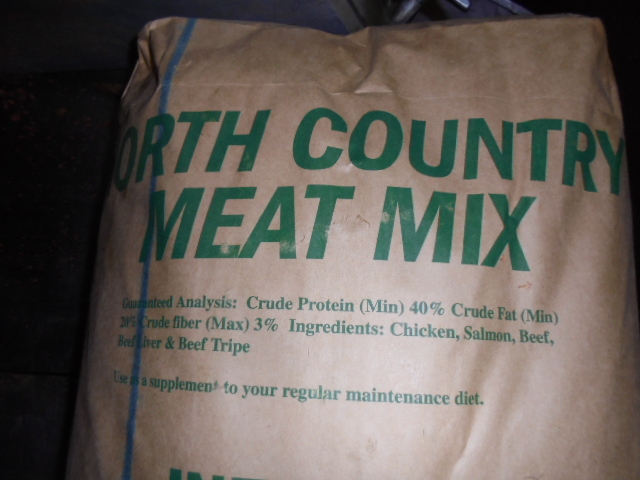 We buy 50 lb blocks of meat to use as snacks for the dogs. Yummy!!! 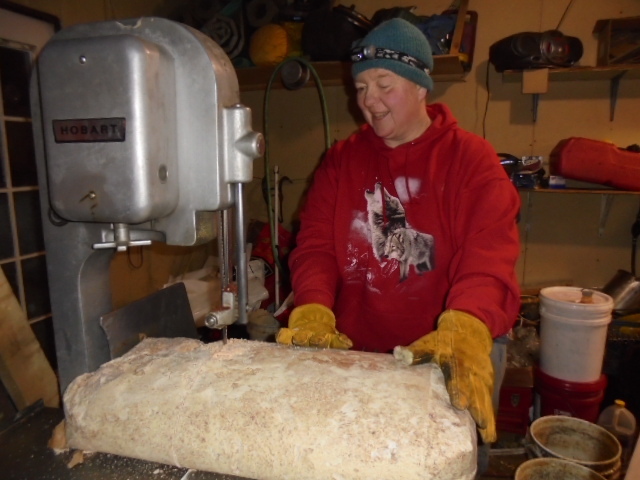 A band saw is a musher’s best friend! Nodd, who adopted me about 13 years ago, barks once or twice but that’s it. She came from a neglectful situation and I think she learned early not to draw attention to herself because there were always consequences. Off on the other side of the yard, I can hear old Peanut barking at her bowl, stomping her front feet into it and then tossing it in the air. I think she is convinced that this is how the food shows up. Some of those barks are echoes of generations. Daisy, Pepe, Hippy and Scoot all sound like their dad and grandpa Trophy. 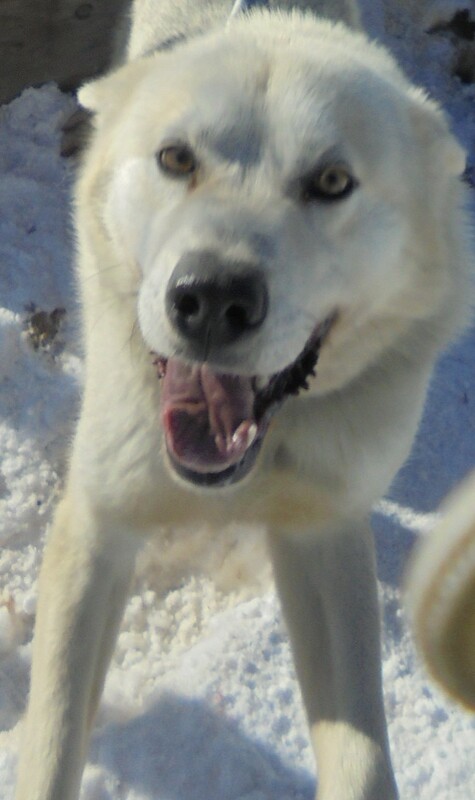 Listening to them a person might be convinced we have hunting hounds and not sled dogs. Daisy taking a break on a fall run. 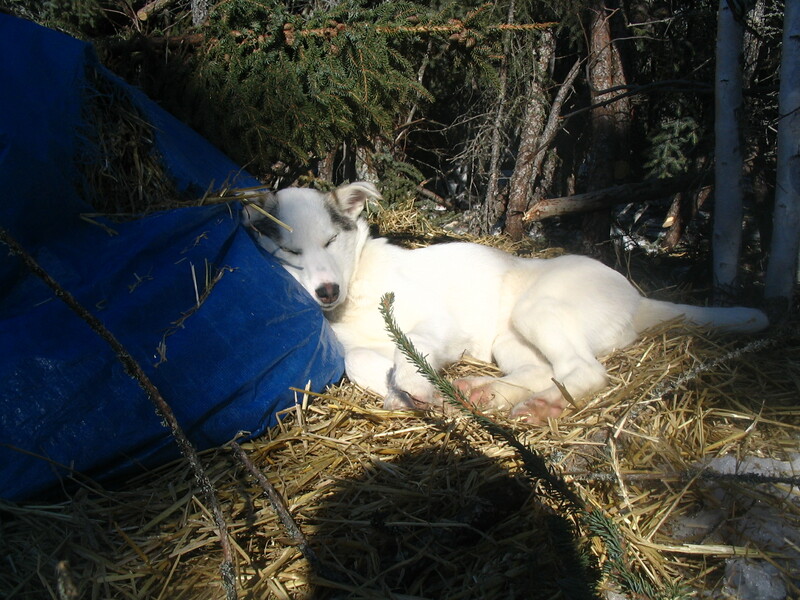 Experienced sled dogs learn to just relax during our breaks. Hiccup spends her wait time growling at any other dog who even looks her way. Like her sister Bob, now gone, she is quite convinced that there is a canine conspiracy to steal her food and so she initiates a preemptive strike. Silly girl. 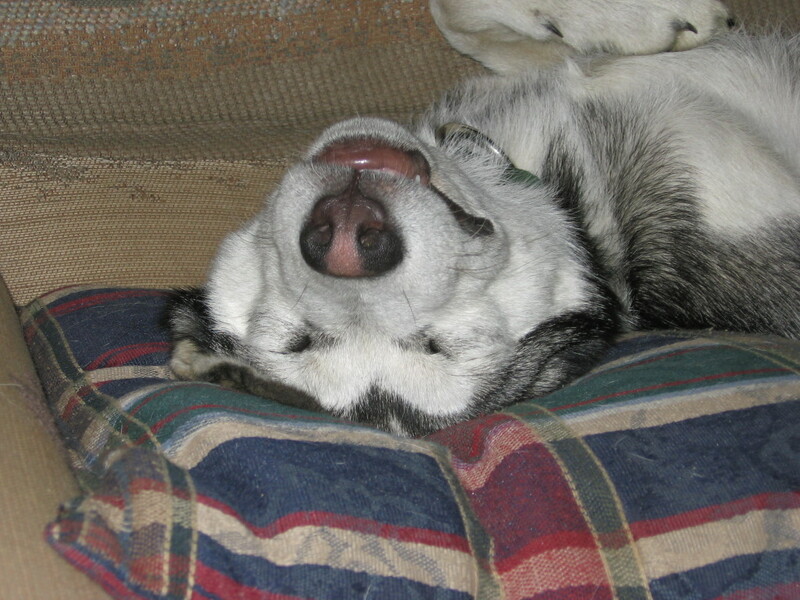 Bob – I miss this silly girl. 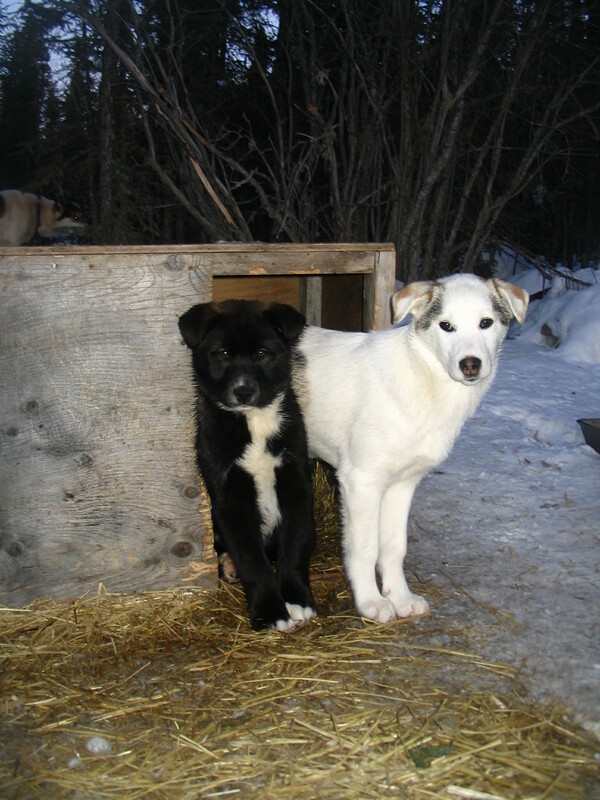 Beaker and Blue, who are young sisters, don’t bark. They scream. Molar loosening screams. Their grandfather, Zen, who was very un-Zen-like, made the same grating sound. These two are crazy, happy dogs, but the noise – oh my. I try to feed them as quickly as I can! Meanie, who really isn’t, whines. And whines. And whines. Bless his heart. His mom, Lucy, does the same thing. Maybe it’s some secret language. Tyson, aka, Buckaroo, well, bucks. It’s the funniest thing I have ever seen a dog do. In the dark what you hear is, “thump, thump, thump” as he lands on the ground. Then there are the quiet dogs – senior citizens who understand the food bucket comes by pretty much on time and there is no need to worry. Charlie, Gump and Blackie all just chill and wait. Blackie sometimes doesn’t even get out of his warm, straw-filled house until I am filling his food pan. Charlie sort of looks like Jeff Dunham’s Walter doesn’t he? One sound I have been missing a lot is the “woo woo” from Diablo. She died this summer because of a brain tumor. We had a ton of adventures she and I – living in the bush, working on glaciers, following a caribou herd on migration and traveling on historical trails. I miss her a lot and I think even more so, because her area remains empty. Maybe it’s time to move some dogs around. She will never be forgotten but her spirit was adventure and I don’t think she’d mind.